Nope, that’s not a Full Moon! 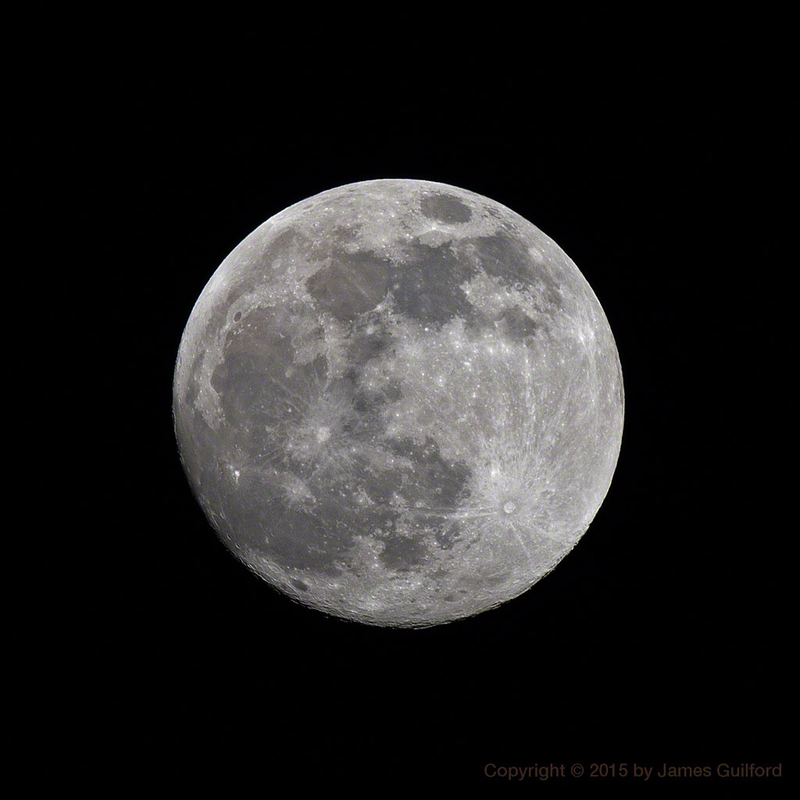 Tonight’s Not-Quite-Full Moon. The Moon will reach its full phase in a little over 24 hours but that doesn’t mean it wasn’t big, bright, and beautiful Saturday night (May 2, 2015)! Phase in this photo is Waxing Gibbous with about 99% illumination … notice the shadowy edge along the bottom-left.